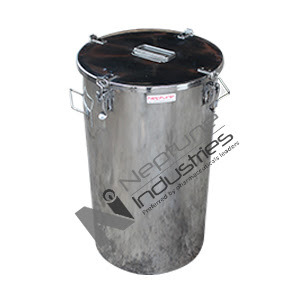 Neptune Industries is one of the leading manufacturers, suppliers of Clean Room Furniture for Pharmaceutical Companies, Hospitals, Hotels, Canteens, Kitchens & Food Products Storage in Ahmedabad, Gujarat, India. We are the trusted and well known manufacturer of Stainless steel furniture; we specialize in identifying as well as innovative clean room furniture. Most people across the country consider our company to get quality Clean Room Furniture for different needs. Obviously, we are only using high-grade stainless steel material for the manufacturing process that allows our customers to experience long-lasting benefits. At Neptune Industries we are committed to bringing innovation in our work and our main aim is to offer international standard clean room furniture products at pleasing rates in Ahmedabad, India. We maintain reputation due to our quality product and currently our company is also counted as a leader in this field. Apart from this, our Pharmaceutical Steel Room Furniture is strictly tested and also meets well-defined parameters related to quality. This will ensure its flawlessness and we offer our products to clients at market leading prices.